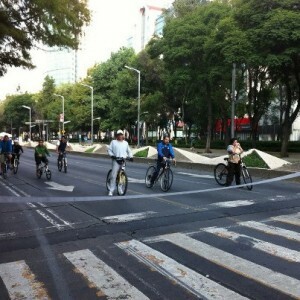 Lining up at a crosswalk to enjoy the car-free Mexican boulevards...every Sunday. 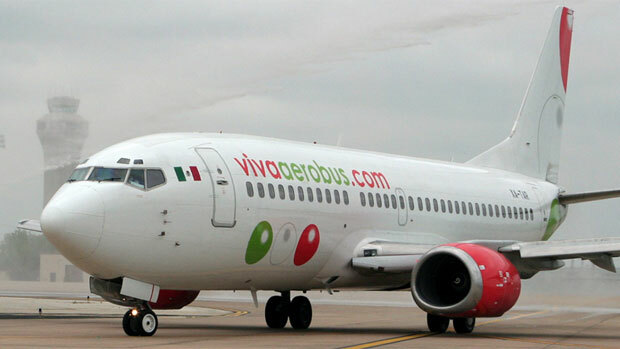 I am back from Mexico, and am happy to say that my experience using Trivago.com to book my hotels in Mexico City turned out very well. Now, I know a lot of people these days are scared to even think about going to Mexico, but remember the country is very big. So the problem areas, it’s not that hard to avoid visiting them. But that doesn’t stop many people, including a savvy radio producer, from balking about taking a trip here. And for that I”m sorry. Hotel chains like Marriott, Starwood and Ritz, though are taking a much more positive view of Mexico. They’re building many new hotels, because they believe that if you invest in a country with an 8% growth rate, you’re probably going to have full hotels. During our stay we stayed in several neighborhoods. Mexico City, with 27 million people, is just so vast that there are hundreds of neighborhoods. Some are leafy and green with a canopy of trees running down the middle of the boulevards (that would be Polanco) and some feel like New York City, (that would be Colonia Roma). One of the treats that Chilangos (the name for Mexico-city dwellers) enjoy every Sunday is a chance to ride bicycles in streets with no cars. With the city’s new mayor promoting bike travel, and the city having installed 1200 inexpensive rental bikes called Eco-bici, he’s added something wonderful. They close off major boulevards from 7 am til 2 pm every Sunday. So we were able to ride down the middle of this usually choked up street with a host of other happy riders. Families, young singles, people towing trailers full of kids, and some with their dogs on leashes, all enjoyed the sunshiny safe ride that Sunday. Biking is perhaps the best way to see a city.